The Defender was designed to protect the front element of your lens from dirt, moisture, and minor collisions. 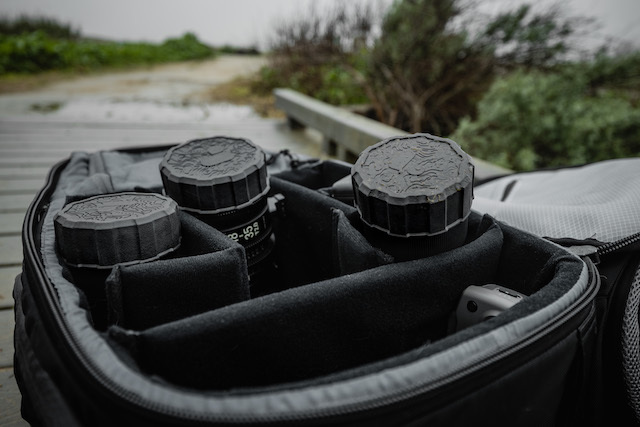 Compatible with most entry, mid., and pro-level lenses on the market, the Defender’s dual-density construction combines a hard, rigid lens plate, and an easy to install flexible polymer exterior; ensuring a snug and secure fit compared to standard plastic lens caps and flimsy universal lens covers. The idea came out of pure necessity. Every member of the PolarPro team travels and shoots often, only to find (hopefully) our traditional lens covers at the bottom of our bags. 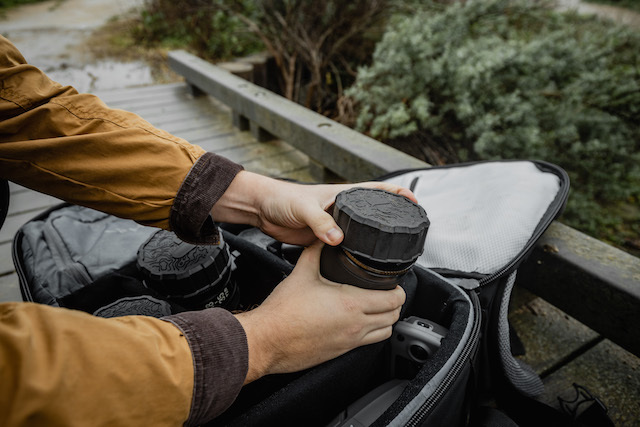 After testing rubber sleeves that are on the market, we found that they did not offer the same protection as a traditional lens cap while at the same time having the added benefit of remaining firmly attached. The soft but flexible sidewalls were created using a specific composition of polymers and elastomers to get the fit just right. This combination provides a rigid enough structure to press the Defender onto the lens, while remaining soft and durable. The Defender will come in five different sizes options to protect most, if not all of the lenses in your bag. 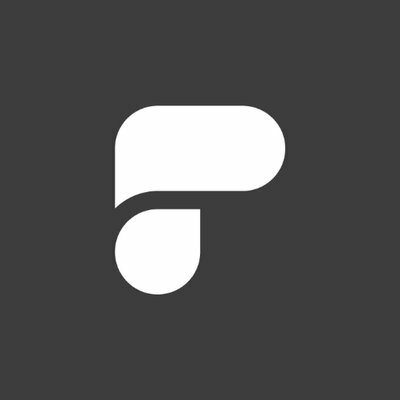 These sizes are based off of the filter size of your lens which can be found on the front of any lens identified by this symbol ø followed by the number that will represent the size in millimeters. For example, ø77 equals a 77mm filter thread size. The variety of sizes assures that the Defender fits snug during the most rigorous of travels so that your valuable lens(es) stay protected. If you are uncertain about what Defender would fit your lens, check out the fit guide on the Defender product page. Speaking of filter size, the Defender was designed to fully envelop your lens even with a circular filter mounted, such as the PolarPro QuartzLine filters. This design promotes ease of use and quicken the process by not needing to add and remove the filter each time you were to store your camera/lens. The Defender will also act as a protective barrier from the same dirt, moisture, and minor collisions as a bare lens. With a balance of rigid and flexible, tactile sidewalls holding the solid nylon plate in place over your lens, the Defender is a great option to add a little more protection to the bag or resolve the age old issue of lost lens caps.